Everything is in the details. This shabby chic kitchen has got beautiful fonts on the boxes for pets food and fresh eggs and numbered cups with the utensils inside them. On the plates it is beautifully inscribed: dessert. 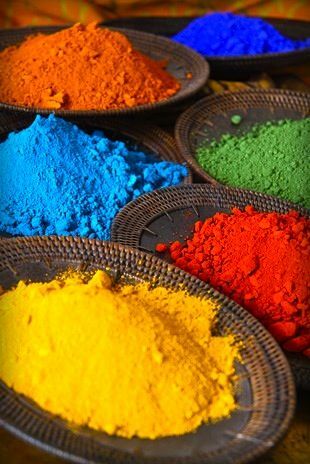 It is a variation of white, so every other color is a powerful accent. 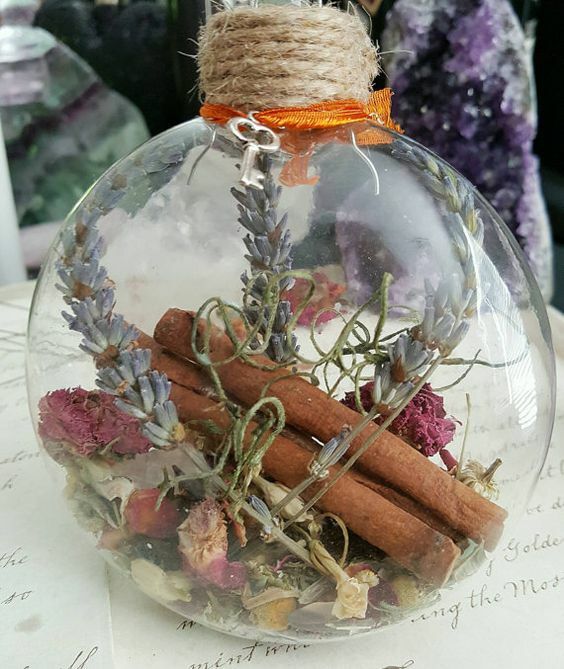 All the belongings are artistic and carefully chosen like the scales. The secret of this kitchen is the whisper of yellow, all over it. It looks fresh and young as a duckling. All the utensils adorn it like a yellow Xmas Tree. 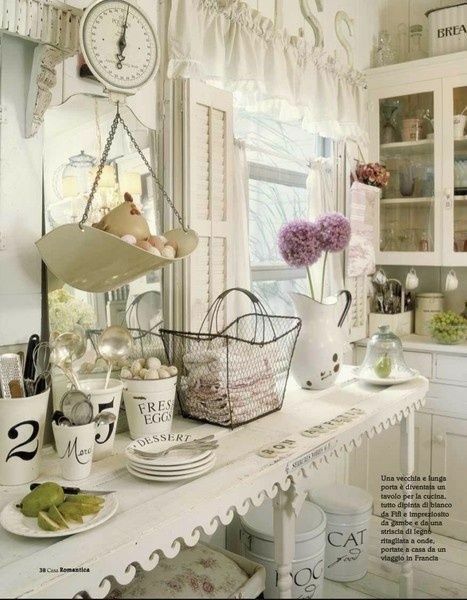 There is nothing casual in this kitchen, yet it still looks pretty casual, warm and inviting. One would so lift the cute tea cups to one’s pursed lips and celebrate the glory of the morning. 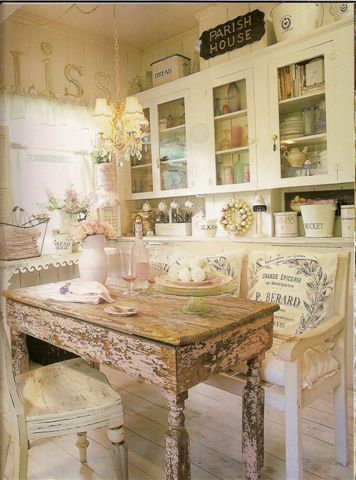 It’s the ultimate shabby chic kitchen, with beautiful ornaments and inscriptions on the chair pillows. Everything is solved in soft yellow, and nuances of white, the colors of a fresh egg, with very slight variations. Everything in this kitchen suits everything else. 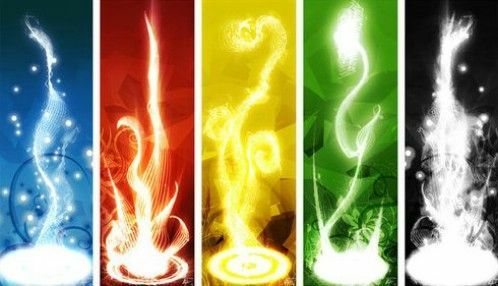 It’s a place of pure bliss and cozy warmth. 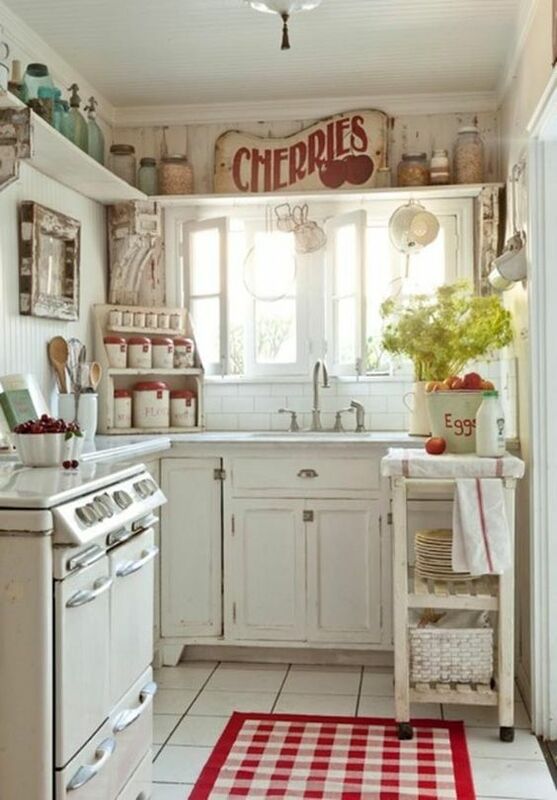 Shabby white and cherry red complement each other beautifully in this small kitchen. Probably one of the most magical combinations. It’s the perfect place for dying eggs for Easter and cooking a turkey at Thanksgiving. It’s compact, cozy and functional. The world belongs to this cat! Imagine this auld table bending under the treats for family holidays. Imagine sprawling yourself on the soft pillows on the wooden divan. Here a thankful family drinks hot coffee every morning, accompanied by the tomcat, which is the host, and the family oligarch. A shade of pink suitable for a tea-party at Ritz and a doll-house. The china looks like it is directly stolen from the porcelain museum in Zagreb, Croatia. 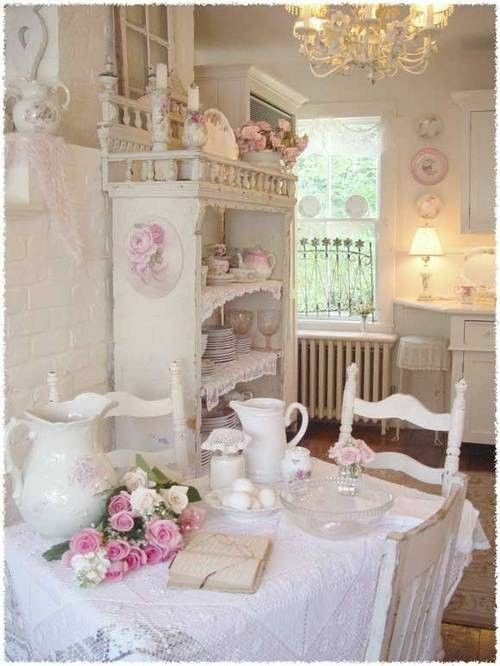 Plates and table clothes adorn the space and give this shabby chic kitchen a sense of coziness and it pleases the soul of little girls well. 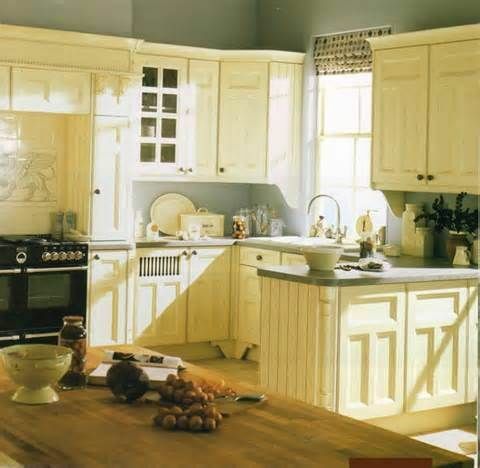 If you are afraid of the dark – this your kitchen. 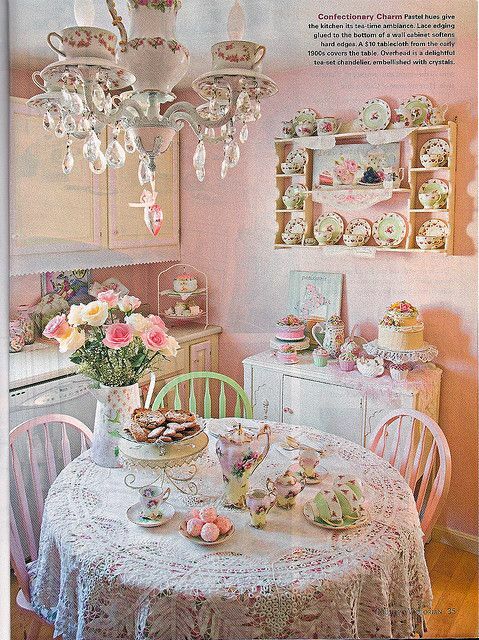 Furnished perfectly for a garden tea party it combines pink and yellow, without being ostentatious. 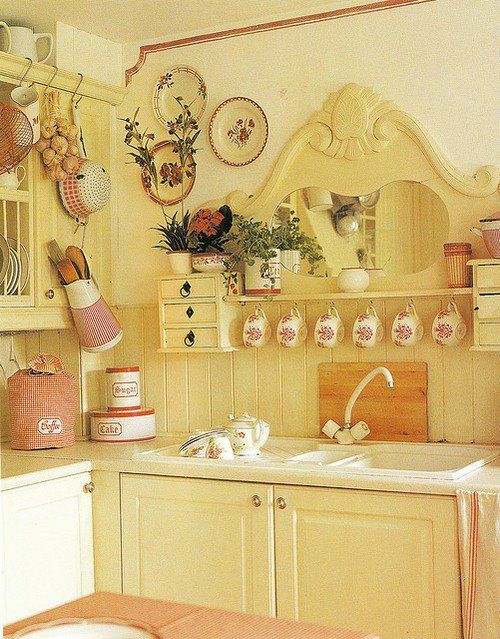 It looks like a kitchen for dolls and it is suitable for the young at heart. 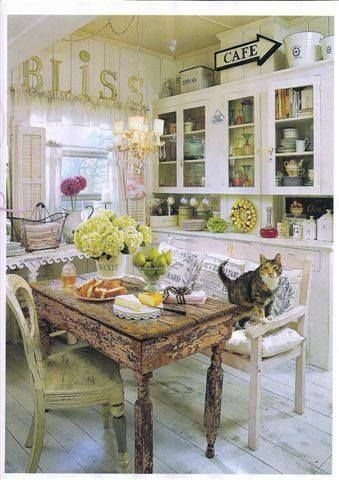 A shabby chic kitchen belongs to the sacred space we call home.